Child Abuse and Child Custody Investigations With the Help of ISOG Private Investigator and Private Detective. As a general rule, in the family law code of almost all countries in the world, any activity or behavior by a parent that threatens a child’s physical or emotional well-being is considered child abuse. Therefore child abuse doesn’t have to be extreme for a parent to lose custody or visitation rights. Child abuse could be verbal abuse, resulting in emotional trauma, and physical abuse resulting in broken bones, visible bruises and scratches. A parent may commit child abuse also by failing to feed, send to school, or provide medical care for a child over an extended period of time. Nowadays, judges of minors take child abuse very seriously. Children are vulnerable and unable to protect themselves, therefore in child abuse and custody trials, parental rights must be protected but a child’s best interests and safety are the primary objectives of any child abuse and custody decision. 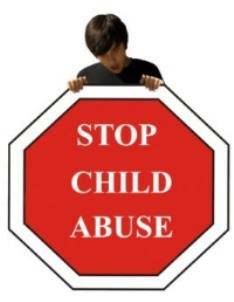 The child might be abused physically or even sexually. Very often these acts are committed by disturbed people who can be classified as paedophiles. This is a serious crime and as such we liaise with the law enforcement authorities in order to conduct the investigation in a safe way. After we report the situation to the law enforcement authority, ISOG private investigators and private detectives can also monitor the computer of the suspect after getting the proper legal authorization. If you suspect your spouse, a relative or the babysitter is abusing of your child and wish to collect all the evidence to take the case to court, then ISOG private investigators and private detectives can conduct a full investigation of the case. They will make sure you will get all the necessary evidence necessary to report the case and then get full custody of the child in case you are divorced. If the abuse is committed by your spouse and you wish to divorce, ISOG private investigators and private detecctive are expert in child abuse and child custody investigations and ISOG lawyers and attorneys at law can provide you with the right advice.